4.33/5 - 9 reviews. Vote here! 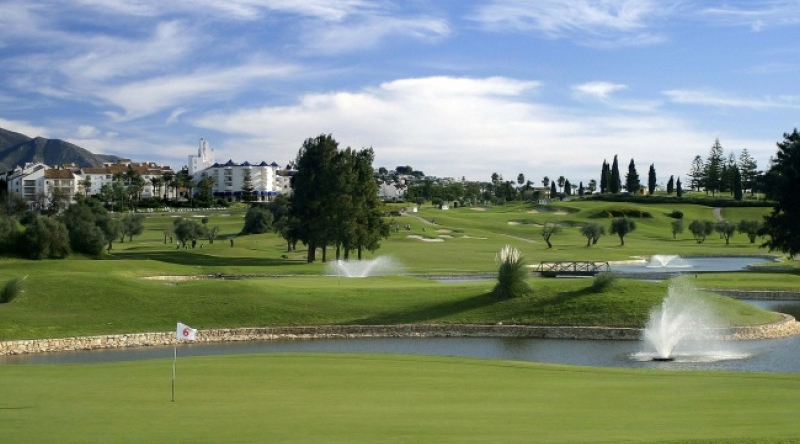 Mijas golf is one of the golf clubs which has two 18 hole courses. Los Olivos and Los Lagos (Olives and Lakes), where Los Olivos climbs a little more towards the mountains and Los Lagos, as the name say, has more water hazards. 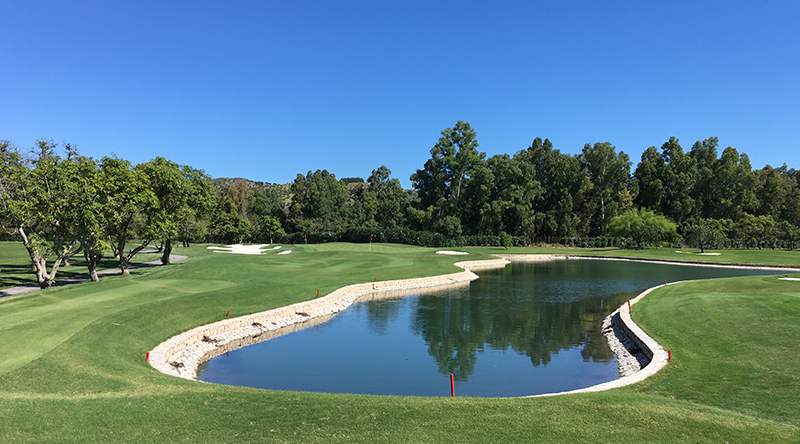 Mijas los Lagos is one of two 18-hole golf courses in Mijas golf. As the name indicates, it is lakes' lanes, lots of water, but wide long fairways for the long hitting golfer. This is probably most popular of the two golf courses, but we do not know why. Maybe a little more championship course over this, and a very good finish mostly. It´s wonderful to take out the driver and knowing that if you miss you can always find the ball on another fairway, if not in the water. Golf course is a true parkland course with no height differences to speak of so byggy is wasted money, almost to the pulse rise of the walk. Both the golfers and those looking into the golf club will remember the big golf ball over a bridge in the middle of the golf course. Cool symbol that gives a little extra sense to the golf course. Mijas Golf is just one kilometer from Fuengirola and is one of the more popular golf courses for Swedes and English in the area. After finish you find a nice Spanish-style restaurant with good beer, food and Spanish tapas in the clubhouse. Course nature, Flat, Long, Medium, Wide. 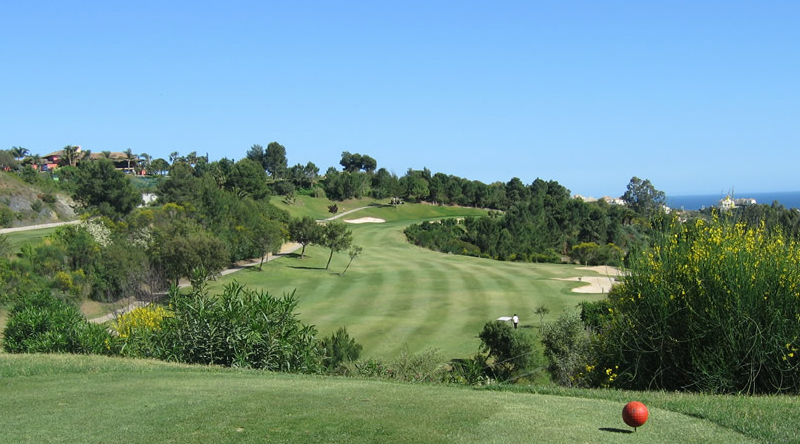 Los Olivos is a nice well-kept golf course with a few holes located at the foot of Mijas Mountain. Slight climb up to a par 3 with a big difference in height from tee to green, despite this it´s very easy to walk. When you come down from the small hill, the golf course expands like a parkway with some water hazards. On hole 10 and 17 the greens are together, so you can easily believe that there are players on the green, but even if it's one big green, the distance is long enough not to create problems. 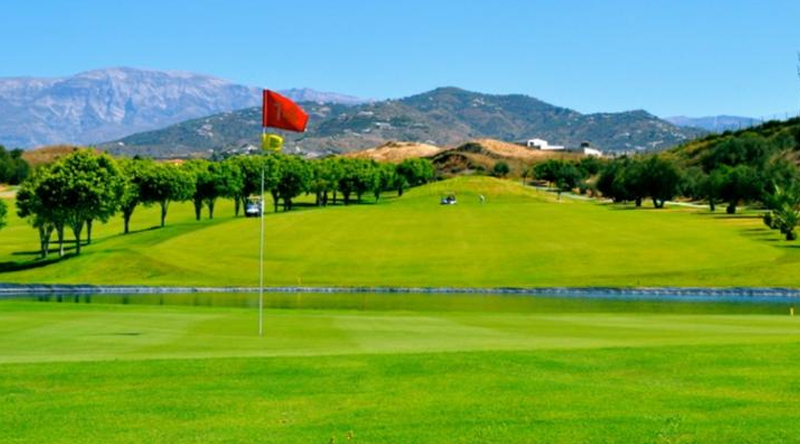 Mijas Golf is just one kilometer from Fuengirola and is one of the popular courses for Swedes and English in this area. Finish the round in a nice Spanish-style restaurant with good beer and Spanish tapas. Here you can also practice a good driving range close to Fuengirola. Course nature, Flat, Medium, Undulated, Wide.